Snell & Wilmer opened a law office in downtown Los Angeles, California in 2009. Our Los Angeles attorneys provide legal services to national and international businesses with interests throughout California and the Pacific Rim. For a full list of our areas of practice, please see our Services page. Snell & Wilmer's Los Angeles attorneys are very active within the Los Angeles County, San Fernando Valley, California, American and Federal Bar Associations, and hold numerous board and leadership positions in civic, education and industry organizations. Numerous members of our Los Angeles office have been recognized by Southern California Super Lawyers, The Best Lawyers in America©, Chambers USA: America's Leading Lawyers for Business®, The International Who's Who of Business Lawyers and Lawdragon's Top 3000 Leading Lawyers in America. The attorneys at our Los Angeles law offices are dedicated to their community and have contributed their time and services to numerous non-profit organizations and programs, including the Los Angeles Area Chamber of Commerce, the Los Angeles Central City Association, the Downtown Women's Shelter, the Los Angeles Economic Development Corporation, the California Task Force on K-12 Learning, Girls Inc. Orange County and the UCLA Mobile Clinic. In January 2017, Snell & Wilmer relocated its Los Angeles office to new space on the 31st floor of City National 2CAL in the Bunker Hill neighborhood of downtown Los Angeles. The new office features state-of-the-art technology, conference facilities, collaboration areas and ergonomic work stations, as well as artwork by local artists. “Succulent City,” is a prominent 9’ x 16’ mural that can be viewed from the office’s main lobby. The piece, which was painted over the course of seven days by artists Evan Skrederstu and Christopher Brand (the founding members of U.G.L.A.R. Works), depicts a living succulent wall clustered around a glass bottle encasing the city of Los Angeles. 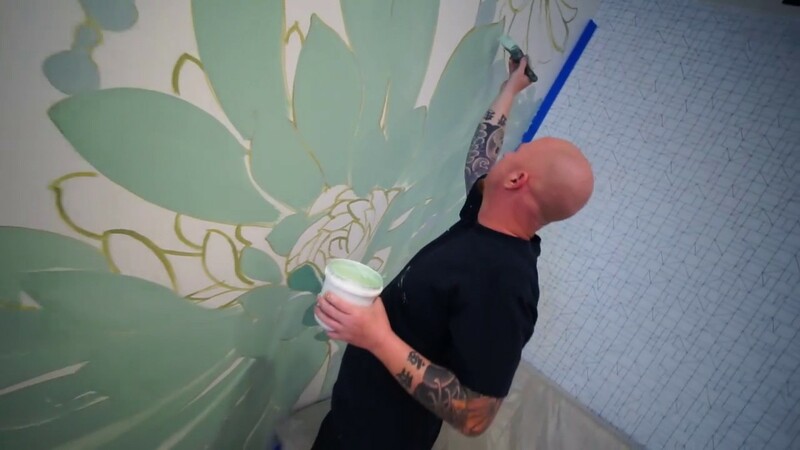 Take a look at the video to see how this stunning piece came to life at Snell & Wilmer.